This month we are returning with our new team and new challenge style! Are you feeling LUCKY or is LOVE your thing this month? Share anything related to Luck or Love and tell us why the project fits the category. To play we need you to link up ANY social media project pics you are posting this month that fit the category. 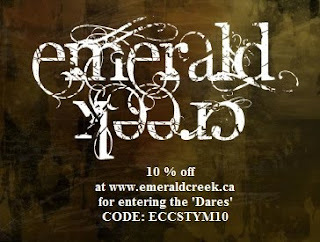 #ECFEB2018 on your posts as well so we can reference them and if you add and tag various Emerald Creek product you will get a bonus entry. At the end of the month we will pick a winner and send a prize pack to the Winner as well as link up their project and share it out. These new powders were so much fun, I fell in LOVE right away. I needed a new way to display and refer back to the Baked Texture colours so I created tags and a holder box for display at arms length. Come see more about these powders on my blog. 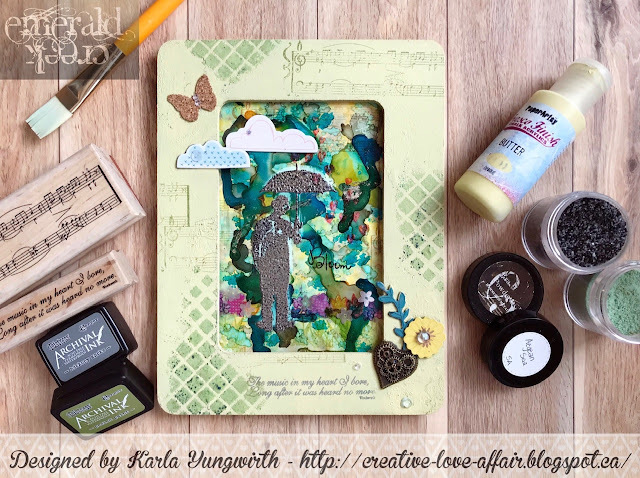 NEW year to craft Dare with her January Journal Pages entry. Karen please email info@emeraldcreek.co for your prize code. 2. Rijacki of Rijacki's Workshop - Late! Thank u so much team for the secial mention here! Would love to claim the badge to display at my blog proudly! Kindly delete one of the entry, i don't know why it appeared double time. These guys are absolutely amazing, and you'd be crazy to party anywhere else in the city. I would highly recommend this place to anyone. It's elegant, affordable, and delicious. You really get bang for your buck there! And the service of LA venue is top-notch. Aw! Thank you, Anne! So happy you like my tag box!